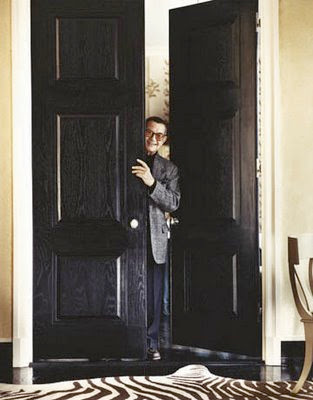 Who's there? It's me! 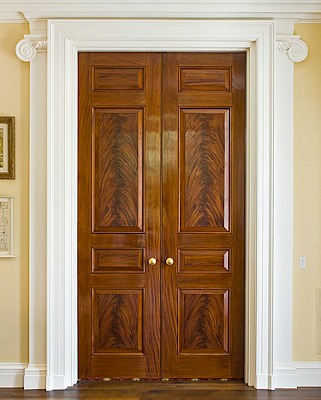 I am back and loving these magnificent mahogany internal doors. 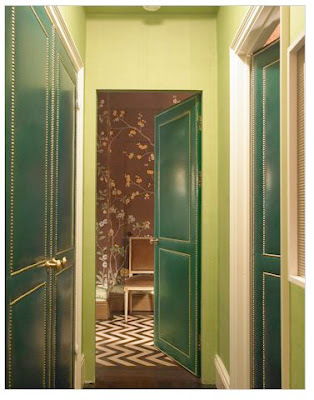 The doors inside the home are often forgotten and neglected, but given the chance, they can be powerful design elements. 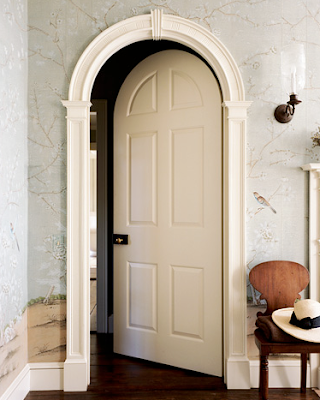 Why not add nail head trim to give plain doors architectural interest? 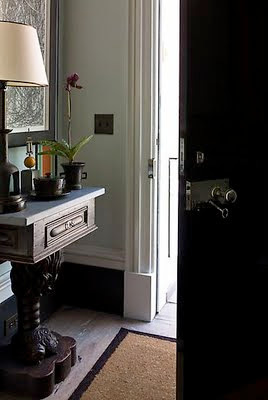 Or adorn your most special doors with some beautiful new hardware? 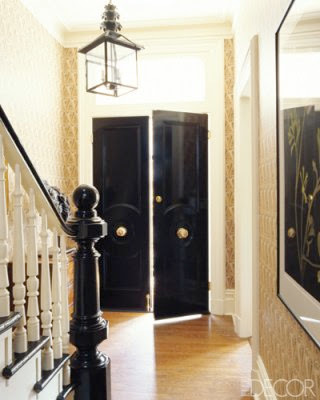 Take a page out of the playbook of legend, Albert Hadley and add a shiny coat of black lacquer to a set of doors. It will make quite a statement. 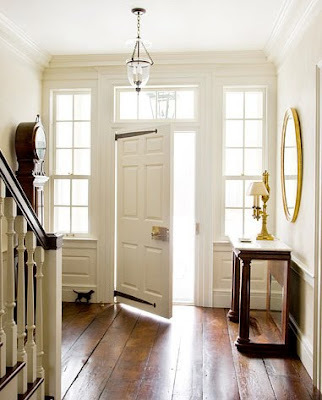 White doors are classics. 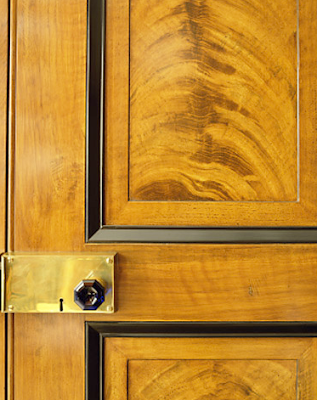 A fresh coat of paint, finely milled encasement, and well chosen hardware can take a door from non-descript to unforgettably elegant. 0 Response to "knock, knock"